The Samaritan certainly pulls a mood out of the photography, where rich lights in clubs and bars often shape a vibrant, moody landscape behind Foley's late-night activities -- and the daytime sequences ain't too shabby, either. 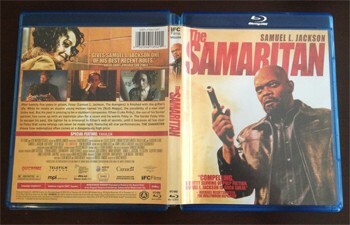 This Blu-ray from MPI Home Video relishes the 2.35:1-framed digital photography's varied visual tempos during those night sequences; the rhythmic nightclub projects alluring blues and robust yellows that compliment ample contrast balance that never swallows details, while the rich reds and earthy lighting in the casual lounge capture similar components in a different light. Contrast has its ups and downs: details rarely disappear in shadows and black levels are often dark and respectful, yet lighting gradation and noise occur in some complex scenes. You'll catch a wealth of detail in close-ups and on the clothing selections, where Jackson's facial hair and the sheen on his jacket prove extremely ample, and the daylight sequences are often nearly immaculate. It's to be expected from digital photography, but quite nice. A clear, rich 5-channel Master Audio track sets the mood right as well, which again hits stylish and aggressive high notes in the clubs. That's where the bass and verbal dialogue becomes the most complex, where pulsing music fills the space yet allows Sam Jackson's thick vocals to emerge crisp and audible. Several sound elements offer minor but welcome pieces of ear candy: the jingle of chimes in a store front, the rushing of water in a shower, and the distant sound of sirens in the city stretch to the outer channels. Sustaining an immersive design becomes the audio track's big surprise, from the effects spilling to all channels to the respect paid to dialogue's echoing and natural presence in confined spaces. And when gunshots are fired, they have an ample-enough weight to give them some power in the space of the audio track. Not too bad at all. It's a shame that all we've got in a Trailer (2:21, HD), because I'd love to hear what Samuel L. Jackson and the other actors/filmmakers had to say about the premise. 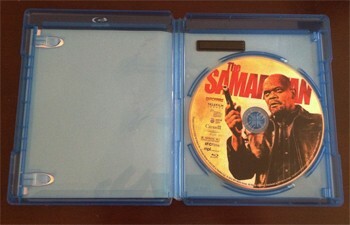 The Samaritan affords Samuel L. Jackson the opportunity to create a low-boil of introspective tension with Foley, which he does quite admirable as the long-imprisoned ex-conman who's reintegrating into the world after giving up the game -- then forced into one more con. The problem comes in the events driven in and around the manipulation that draws him back into one last job, where the writers attempted to apply eerily-similar plot devices from another film to a tweaked setting with tweaked circumstances. 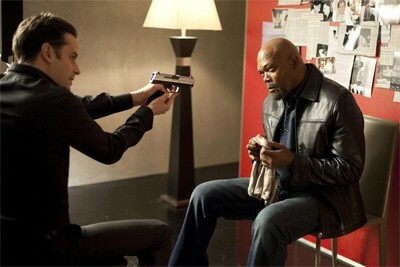 And it could've worked, had those elements been executed more gracefully and had they not conflicted so heavily with the notes of redemption that Sam Jackson reputably achieves as Foley. The rest of David Weaver's film, the con itself and the suspense built within, all suffer due to that negative reaction between the film's conflicting ideas, creating a fairly livewire second half that's tainted by the issues with the first. MPI's Blu-ray does a great job of presenting the film, and it is certainly worth a watch for the performances from Jackson and Ruth Negga, so it's certainly worth the time for a Rental.